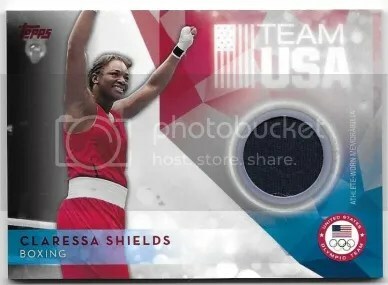 Congrats to dawgbones on being the lucky winner of the Claressa Shields 2016 Topps U.S. Olympic & Paralympic Team Hopefuls Relic. Once dawgbones sends me their mailing address, I will ship this card ASAP. Thanks!